Analog Efex Pro: which allows you create the look and feel of classic cameras, films, and lenses. Color Efex Pro: A powerful set of filters for color correction, retouching, and creative effects. Silver Efex Pro: to create the best black-and-white photography with darkroom-inspired controls. Viveza: to selectively adjust the color and tonality of your images without complicated masks or selections. HDR Efex Pro: “From natural to artistic, explore the full potential of HDR photography. Sharpener Pro: to bring out hidden details consistently with the professional’s choice for image sharpening. Dfine: a powerful sharpening and noise reduction tool to improve your images. For a while Google offered version 1.007 of the Nik Collection for free back in 2013 after it had acquired Nik Software, but not long after the plug-in collection was selling for $149. Google say users who have purchased the Nik Collection in 2016 will be offered a full refund. Too bad for those who got it for Christmas. Worse for me as I paid £199 for the Nik Collectin back in 2012. Google: We’re excited to bring the powerful photo editing tools once only used by professionals to even more people now. The general consensus on the web seems to be that they are no longer willing to continue development of the plug-ins in their current form, which would be a real shame. Only time will tell. In the meantime, grab a bargain from here. This post is not specifically photography related, but as I use Adobe products in photography I think it’s relevant, and it sure has soured my impression of Adobe. Like many I use Adobe Acrobat; the free Acrobat reader to view PDF files but I also own a copy of Acrobat Standard for creating my own PDF documents. It’s quite an old version I must admit, Version 8.0 in fact, which harks back to 2007. I’ve this version used it quite successfully on my desktop PC since 2008. The PC originally came with Vista, but soon afterwards upgraded to Windows 7, and used Acrobat 8 without any major issues. I’ve just replaced my PC , which came with (at my choosing) the same Windows 7 Professional 64-bit OS. I’d planned to install my Adobe Acrobat 8.0. It worked fine on the old PC, so I had no reason to think it wouldn’t work on my new PC with the same OS. Well, just how wrong could I be and several hours were wasted trying to get the dam thing working without any success; no thanks to Adobe! The software requires an activation code, typically accomplished via the internet. However, I should have realised something was up when I got the message “Internet Connection Not Detected, Error code 159:41“. Of course I spent ages messing around to see if there were any problems with my internet connection, but everything else connected worked just fine. I tried all the usual stuff, turning off the firewall and anti-virus, but still got the same response. There’s is an option however, to Activate by phone, so I thought I try that, only to be given the recorded message “activation of Adobe products by phone is no longer supported, please visit www.adobe.com/go/activation for further assistance“. I tried, but that page is utterly useless and you just find yourself going around in circles getting nowhere. I eventually found a link to a Chat window with a support agent, but after repeatedly been told to click the “Try Again” box in the install procedure, I received the following reply: “I checked and see that this is a technical issue, you will have to contact our technical support team to resolve this issue“. What .. I thought I was talking to technical support! Unfortunately, I was then directed to another useless web page (www.adobe.com/uk/company/contact) where I was told I could contact technical support. It contains plenty of telephone numbers, but no mention of one for technical support! Luckily I viewed the page whilst still on the chat window, so I demanded the number for UK technical support before my support agent vanished into cyberspace. Call 0207 365 0735 for UK technical support. I tried it, it’s for everything. Several automated submenus later I finally got to talk to a heavily accented agent who eventually said ” Your product is no longer supported by Adobe” and simply refused to go any further. I actually own this product but Adobe now REFUSE to let me activate it. And advice offered from Adobe .. buy the latest version; apologies .. none. Adobe make some terrific products, but with this sort of attitude it’s no wonder their software is some of the most bootlegged around. Whilst I can understand (but do not agree with) them not wanting to support legacy products, preventing us from using them is simply wrong. Will I be buying Adobe Acrobat XI .. not a cat in hells chance I’m afraid. Shame on you Adobe! Postscript: I’m currently using Nuance (Scansoft) PDF Create Version 8 which is OK, but not ideal. If anyone can suggest a better alternative please do. The 5th incarnation of Adobe Photoshop Lightroom was released to the general public yesterday (10th June 2013) well ahead expected. The Lightroom 5 beta version doesn’t expire till the 30th June, so I wasn’t expecting a full release of Lightroom 5 till after that date. 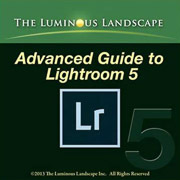 However, Adobe have been pushing their new cloud base platform software releases, so I guess there was some urgency to add Lightroom 5 to those as soon as possible. Well it certainly came as a surprise to me when this Monday (15th April 2013) Adobe released a public beta version of Lightroom 5 for download and testing by their user base. It’s only just over 15 months since Lightroom 4 beta was released, and 13 months since the official launch of Lightroom 4, so with that in mind we should anticipate a final version of Lightroom 5 in just a few months time.